There are only three women who have ever won Grammy awards for comedy albums, and Kathy Griffin is one of them. (She's in a great company; the other two are Whoopi Goldberg and Lily Tomlin.) From the stage to the screen, Kathy Griffin's voice has become one of the most recognizable of the past two decades. She has been adaptable in a changing industry, shifting from sitcom to reality TV with her award-winning "My Life on the D-List," and enduringly unapologetic about her sense of humor and her activism. Lucille Ball had already found success as a model and actress by the time "I Love Lucy" arrived in 1951, but the show's creation left a lasting mark on pop culture. Ball and husband Desi Arnaz founded their own production company, and then created a sitcom that brought in history-making profits. It would be too easy to dismiss Ball's creation as a product that reinforced the mores of its time; on the contrary, what she produced set the scene for comedies like it to come, and served as inspiration for other actresses to reap the benefits of their work. 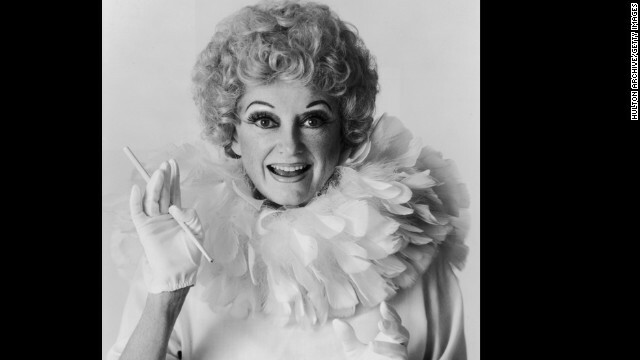 Comedic actresses like Zooey Deschanel aren't exaggerating when they say they owe their careers to the great Phyllis Diller. She got her start in stand-up in the mid-'50s and could be considered one of the funniest members of the women's lib movement, breaking the housewife free from the home and giving her a full voice on stage. "She paved the way for everybody," said talent agent Fred Wostbrock upon Diller's death in 2012. "She was the first and the best." 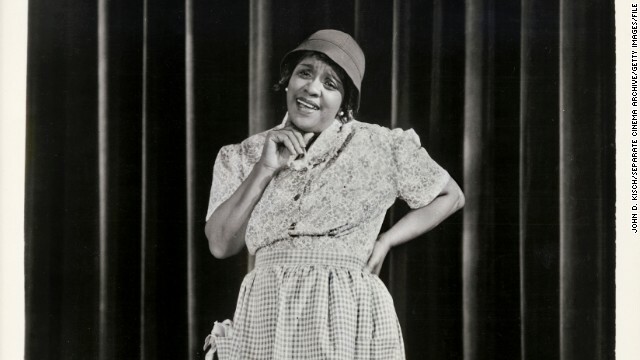 Considering the early trials Jackie "Moms" Mabley had to overcome, her enduring and groundbreaking career in comedy is all the more impressive. After starting off in vaudeville in 1920s New York, she expanded to the silver screen and became the first female comedian to perform at the Apollo Theater. Before Phyllis Diller put on her fright wig and sack dress, Mabley was making audiences double over with her bawdy sense of humor that included frank talk about race. Mabley's talent wasn't widely recognized until the '60s; she passed away in 1975. 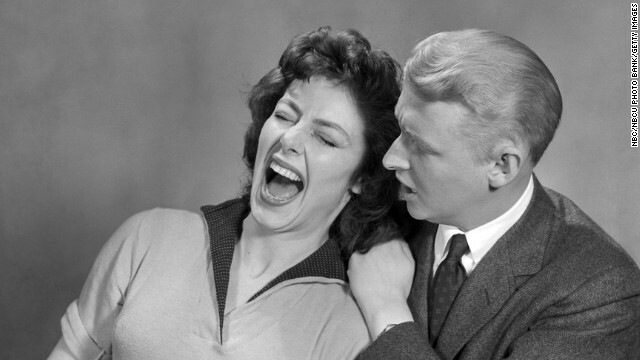 Before "Saturday Night Live," there was the comedic duo Nichols & May. 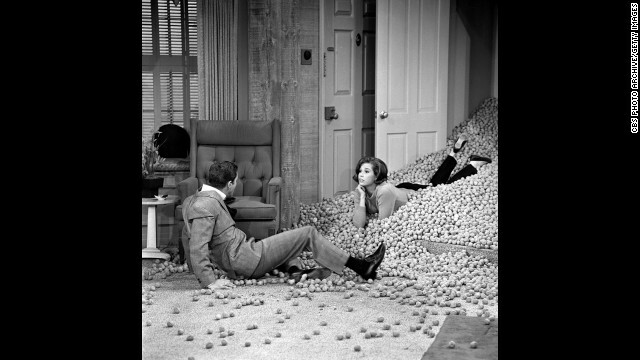 Elaine May and Mike Nichols were renowned for both their social satire and their incredible improv ability, which they often brought right into American homes via programs like "The Jack Paar Show." Along with Nichols, May honed her talent at Chicago's Compass Players, the troupe that would later evolve into Second City. 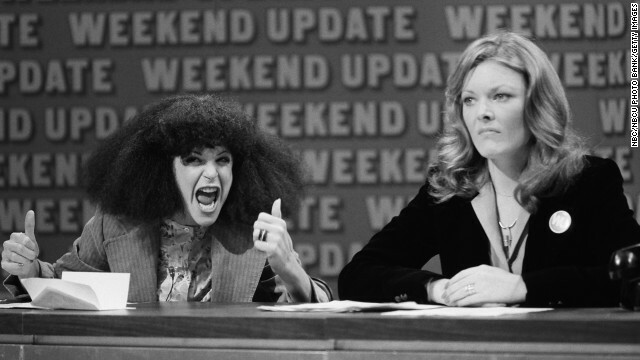 In 1975, "Saturday Night Live" debuted and introduced viewers to history-making comedians like Gilda Radner, left, and Jane Curtin, who were part of the original "SNL" cast. The duo put in place some of the most iconic sketches to date, from the coneheads to Baba Wawa. Post-"SNL," both were poised for screen success, but Radner's career was cut short by her death in 1986. Curtin, meanwhile, went on to star in sitcoms like "Kate & Allie" and "3rd Rock From The Sun." When Elayne Boosler arrived on the stage in the '80s, it seemed she'd been sworn in to tell the whole truth and nothing but the truth. With a crystal-clear voice and a rapid-fire delivery, Boosler was an eviscerating cultural and political commentator who knew how to land a joke. Condoms, crime, Republicans -- you could get all of that and more in one sitting. In 1985, she pulled her own funds together to craft "Party of One," making her the first woman to get her own hour-long TV comedy special. Some comics make the mistake of equating vulgarity with humor, but Rita Rudner is one of the prime examples proving that clean can also be funny. Born in Miami, Rudner moved to New York as a teen initially to work as a dancer, but then moved over to comedy in her mid 20s. 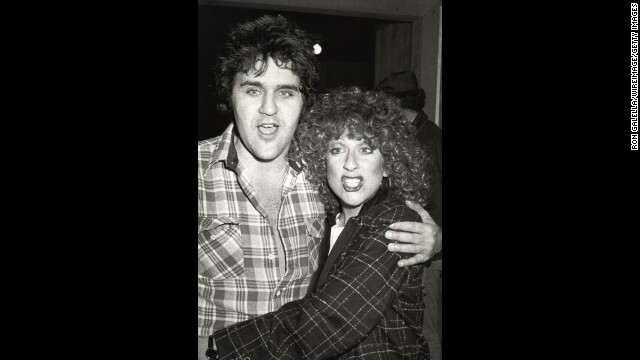 By 1990, when she produced her second TV comedy special, "Born to Be Mild," there was no denying Rudner had earned her place in comedy's canon -- and she didn't have to curse anyone out to do it. Mary Tyler Moore did more than make us laugh throughout her career; she broke new ground in the 1970s by portraying a single, 30-something working woman. That's all TV comedies were about in the '90s and 2000s, but at the dawn of the '70s, "The Mary Tyler Moore Show" was an entirely new breed. If the "Girls" of today are going to raise their drinks to anyone, it should be in celebration of Moore. Can your favorite TV series claim a run of 11 years, with an average of 30 million people tuning in every week? Because "The Carol Burnett Show" can. The variety show is considered by Time magazine to be one of the 100 best TV shows ever, although when it aired in 1967, Burnett was just trying to bring together all her gifts -- for comedy, acting and song -- into one entertaining dish. The result was a TV classic. 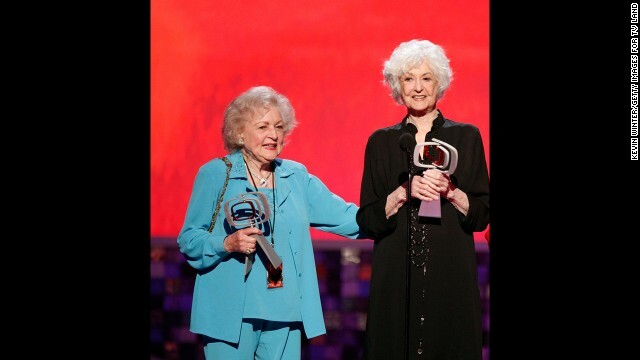 Bea Arthur, right, was in her 50s when she starred in the '70s sitcom "Maude." The groundbreaking show eagerly charged into new territory, including a pivotal episode in which Maude decides to have an abortion. Between that comedy, and what followed with Arthur's Dorothy Zbornak on "The Golden Girls," Arthur's death in 2009 was deeply felt. In Arthur's absence, her "Golden Girls" co-star, Betty White, has pushed forward, becoming the rare woman in entertainment who's successfully working well into her 90s. 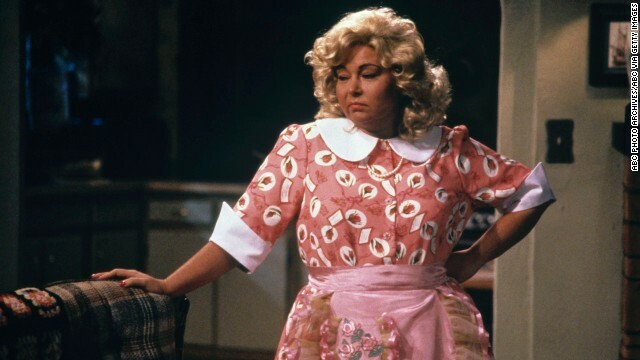 In 1988, Roseanne Barr thought it was high time the TV mom got a makeover. Doing away with the ludicrously pristine versions networks had handed out for years, Barr brought us Roseanne Conner, a sarcastic but loving mother whose blue-collar family was exactly what viewers wanted. With her stand-up background, Barr wasn't going to be anything other than honest -- both in the fictional sitcom, and behind the scenes -- and American viewers loved her for it. The show became No. 1 in the Nielsen ratings in its second season and stayed in the top slots for most of its nine-season run. Lily Tomlin's status as a comedic legend hasn't budged a bit. 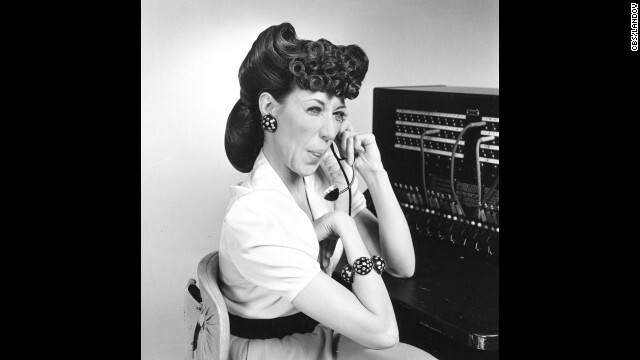 It all started with 1969's "Laugh-In," in which Tomlin gave us characters like the semi-creepy 6-year-old Edith Ann and the snippy phone operator Ernestine. Tomlin has done tons -- and won plenty of accolades for it, from the Emmys to the Tonys -- but we'll always have a special place in our heart for her 1980 workplace comedy, "Nine to Five." Julia Louis-Dreyfus got her start on "Saturday Night Live," but it's her role as the sole lead female character on the iconic '90s comedy "Seinfeld" that stands out the most. Initially, Louis-Dreyfus' Elaine didn't exist, but it was decided that the show needed a woman's voice. 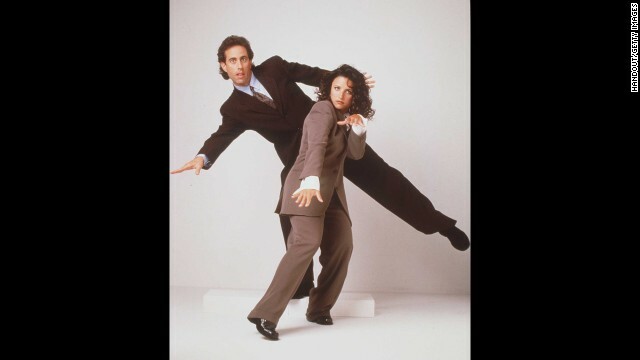 "We had a very vague idea of Elaine," "Seinfeld" co-creator Jerry Seinfeld told The New York Times in 1993. "But once Julia walked in, we knew who Elaine was. We created her together." 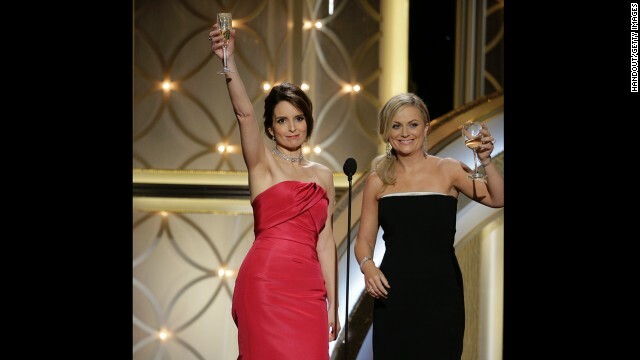 And with that, they created one of the most memorable female comedic roles in TV history. One of the biggest concerns for comedy fans is the lack of women in the writers' rooms. It's important, because just as Jerry Seinfeld recognized the necessity of having a woman represented in his sitcom, someone needs to ensure that there's authenticity and parity happening behind the scenes, too. Enter Carol Leifer. 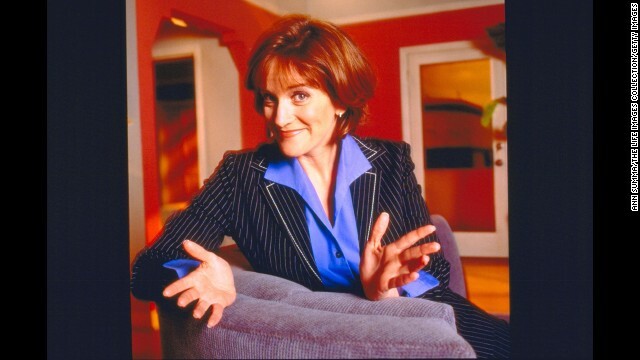 One of the best who's ever done it, she's written for "Seinfeld," "Saturday Night Live" and "The Ellen Show." If you want to learn from her, it wouldn't be hard to do; she's written a bunch of books as well. Native New Yorker Whoopi Goldberg got her start on the opposite coast. With her young daughter in tow, Goldberg headed for San Francisco in the '70s, where she joined an improv group and conducted an award-winning one-woman show. 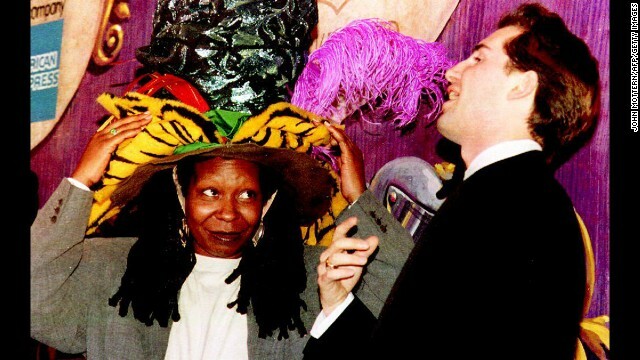 In the mid-'80s, Goldberg returned to New York, where she created the incisive Broadway production "The Spook Show." The beauty of Goldberg's humor about American life is in its insight, a quality she also brought to the screen in a number of acting roles. Not limited to comedy, Goldberg is a member of the prestigious EGOT club -- meaning she's won an Emmy, a Grammy, an Oscar and a Tony. 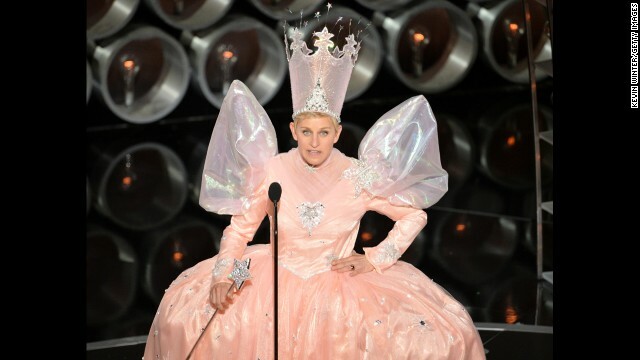 Right from the beginning, Ellen DeGeneres had a way of taking the realities of life and filtering them through a snappy sense of humor. DeGeneres was bubbly and warm, and her brand of accessible comedy was a perfect fit for network television. It was there, while starring on her '90s sitcom "Ellen," that DeGeneres made a pioneering move: She became the first lead on a sitcom to come out as gay. Despite starting off with two incredibly funny women, "Saturday Night Live" has had its problems with cast diversity. But starting in the mid-'90s and leading right on up through the aughts, "SNL" was on fire. Thanks to creative minds like Tina Fey, left, and Amy Poehler, as well as Molly Shannon, Ana Gasteyer, Rachel Dratch, Maya Rudolph, and Kristen Wiig, this was an era when "SNL" was not to be missed. You want to talk about groundbreaking? See the work that Fey and Poehler pulled off during the 2008 presidential campaign; those clips are going in the vault for future generations. Wanda Sykes initially took a detour into government work before she found her voice in comedy. Sticking to her ethos of authenticity, Sykes has earned respect and admiration from fellow comedians and the public alike for comedy that always features her distinctive point of view. While Sykes is a natural at stand-up, she's also an accomplished writer, working on quips for her own sitcoms and series like "The Chris Rock Show," and has done her fair share of acting work as well, including "Curb Your Enthusiasm" and her own short-lived sitcom "Wanda at Large." The only thing guaranteed when Sarah Silverman does stand-up is that something outlandish, and probably offensive, will come flying out of her mouth. Silverman honed her talent in the writers' room of "Saturday Night Live" in the early '90s before landing some on-camera work of her own. Roles in movies like "Bulworth" and "There's Something About Mary" helped increase her visibility, but it was her 2005 one-woman show, "Jesus Is Magic," that cemented her place as a force to be reckoned with. 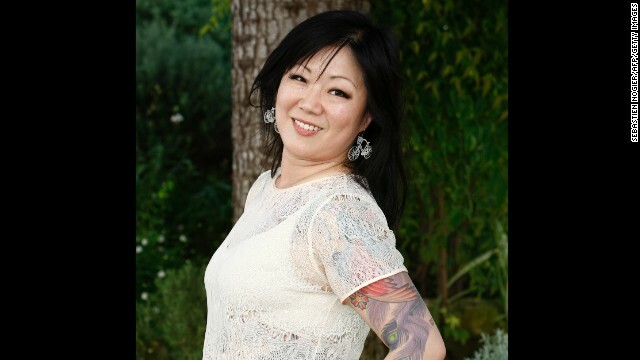 Comedy has always been a tool for the politically frustrated and socially conscious, but few have wielded their humor like Margaret Cho. After a difficult childhood, Cho began performing as a stand-up comedian when she was just 16. By her 20s, her work had led to appearances on Arsenio Hall's late-night show and a sitcom of her own: ABC's short-lived "All-American Girl." That series didn't pan out, but the rough patch that followed only made Cho sharper and more insistent on keeping her perspective as a woman, and a Korean-American, intact. When she returned with the powerful one-woman show "I'm the One That I Want" in 1999, she'd established her voice as one of the most vital in the business, and she did it on her own terms. 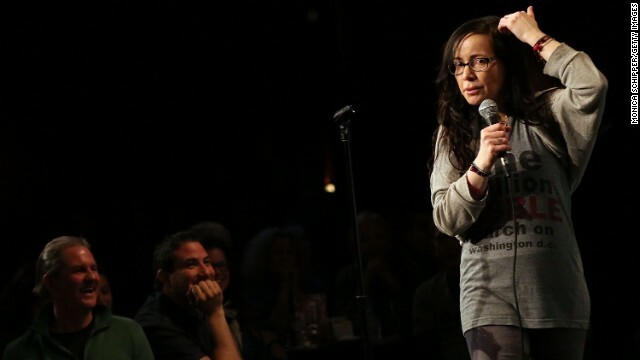 For some of you, the '90s is nothing without the image of a brunette Janeane Garofalo in specs and Doc Martens, sardonically commenting on the culture of the day. Although Garofalo began her stand-up career in the late '80s, it felt like she was born to wryly carry us through the decade that followed. With credits that include "The Ben Stiller Show," "Reality Bites," "The Larry Sanders Show" and "Saturday Night Live," Garofalo's comedy helped define a generation. Chelsea Handler may have wanted to be an actress when she was younger, but we can't imagine this outsized personality pretending to be anyone else. Raunchy, self-deprecating, and completely uninterested in others' opinions, Handler started out in stand-up but soon became the queen of late night TV over on E! with "Chelsea Lately." From her perch on the entertainment network, she happily skewered the very celebrities she was supposed to be interviewing and consistently provided some of the most scandalous interviews you'll see in the 11 p.m. hour. 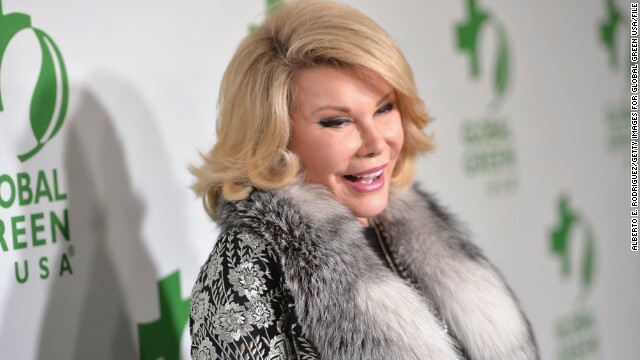 (CNN) -- Comedian Kathy Griffin will fill Joan Rivers' stylish shoes as host of E! 's "Fashion Police" in 2015. Griffin will join Kelly Osbourne and Giuliana Rancic, who return to the panel along with a new face: celebrity stylist and television personality Brad Goreski of "It's A Brad Brad World." "Kathy just feels right, and Brad brings a fun, new voice to join Giuliana and Kelly in this ensemble," said executive producer Melissa Rivers. "I'm excited to see where this panel takes this series my mother so adored in this next incarnation." The new "Fashion Police" panel will make its red carpet debut January 12 with Golden Globes coverage before turning its sights to the biggest red carpet and fashion events of 2015, including the Oscars, Grammys, Emmys, New York Fashion Week and more. Goreski shared the news with fans on Twitter: "I am SO excited to be joining @kathygriffin, @GiulianaRancic and @KellyOsbourne on @e_FashionPolice! Can't wait to break it all down!!" I am SO excited to be joining @kathygriffin, @GiulianaRancic and @KellyOsbourne on @e_FashionPolice! Can't wait to break it all down!! Host Kathy Griffin speaks onstage during The 41st Annual Daytime Emmy Awards at The Beverly Hilton Hotel on June 22, 2014 in Beverly Hills, California. Griffin, who has appeared on CNN as host of its New Year's Eve special, celebrated the news in characteristic fashion in a statement. "I get it! These are some big shoes I'm going to fill. Joan was truly one of a kind. Now I hope you will accept me for me. I'm just Kathy. Did I say I'm just Kathy? I meant I'm Kathy F***ing Griffin and you celebrities better strap yourself in, as I am taking no prisoners. I am not holding back so DAMMIT let's have some fun!"